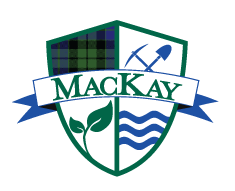 MacKay Landscape Services (MLS) was founded in 1997 out of a desire to create high-quality custom landscapes that reflect the beauty of our region. Over the past two decades, MLS has expanded beyond residential landscape installation, renovation and maintenance into large-scale landscape construction and renovation for commercial, city and public works projects. MacKay Landscape Services is fully licensed, bonded and insured. We pride ourselves on quality, integrity and customer service and it is our pleasure to serve you. Contact us for a free estimate on your next project at 425-771-3639 or email mackayland@aol.com. Russ is a native of the Pacific Northwest and a dedicated family man. 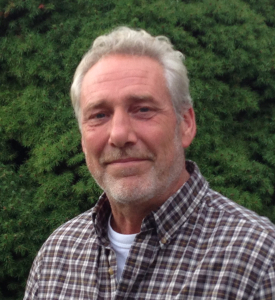 Russ’s comprehensive experience in the landscape industry is reflected in his quality of work, effective team leadership, and unwaveringly high customer service standards. He’s been in the industry a long time and is proud to provide high-quality landscape services to customers throughout the Pacific Northwest. Russ can often be found with coffee cup and phone in hand, while searching for his glasses which inevitably reside on his head. A lifelong resident of Snohomish County and an avid gardener, Jina has been an integral part of MLS since the beginning. 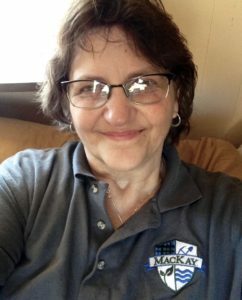 Previous to MLS, Jina studied Ornamental Horticulture at Edmonds CC, owned and operated a professional gardening service for 16 years, managed the garden department for a large regional retailer, and supported the operations of other small businesses in the community. Jina has worn many hats at MLS, including customer relations, landscape designer, live goods purchaser, crew leader, weeder and expert pruner. Currently her role includes taxes, payroll, licenses, permits and ‘all things paper.’ In her spare time, Jina can be also be found playing with paper, as well as scissors, glue, and found objects to create imaginative and colorful, whimsical crafts that are displayed throughout her home and flower garden. MacKay Landscape Services is licensed, bonded and insured. "I can't tell you how thankful we are for you and your crew and the incredible care you have taken of our yard. We will be keeping you at the top of our referral list."